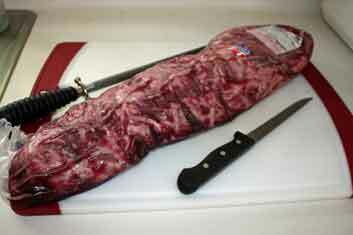 Buying a whole beef tenderloin is a great way to make sure that you are having the best steaks, including filet mignon. You then clean and butcher it yourself. It is also a great way to save money! The picture above is U.S.D.A. 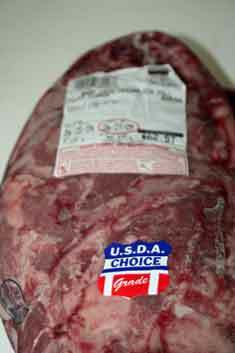 grade choice whole beef tenderloin that I bought at Costco. This piece cost $65.00. The first step is to remove the tender from the bag and rinse it with cold water. Rinse all sides off well. 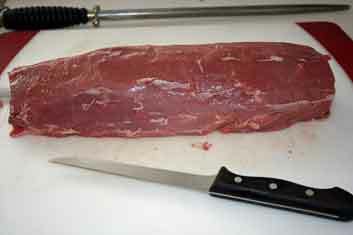 Shake or pat dry and place on a large cutting board. There are four basic parts to the tender. The Filet Head - This piece is great for a roast, medallions of filet mignon or making brochettes. The Center Cut - this is where the best steaks come from. 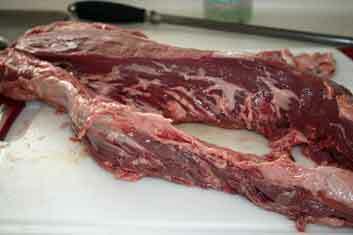 The tenderloin tail - a tapered side of the tenderloin great for brochettes. Note* the 4th part the "chain" is pictured later. 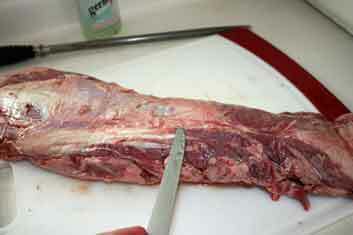 Begin by stripping off any fat that is on the outside of the filet. It should pull off easily. Then using a boning knife, slide the tip of the blade just under the “silver-skin” then cutting away from yourself and keeping the blade as flat as possible strip underneath the “silver-skin. As the tenderloin comes clean you will notice the “Chain” which is roughly round shaped and on one side of the tenderloin. This is the 4th part of the Tenderloin. You can remove this piece as you are cleaning. These days retail butchers include this in your Filet Mignon steaks, this is the tough piece that frequently is found uneaten on the side of the plate. Since we are going for great steaks and tenderloin here, we will remove it and clean it later for brochettes, or other uses like chli. 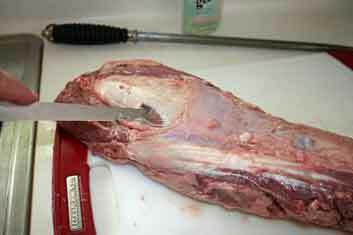 After the chain is removed we can remove the Filet Head which is the big side of the Tenderloin. This makes an excellent roast or can be broken down for smaller medallions. 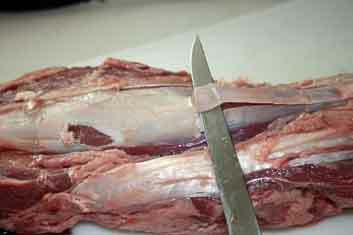 This is also great for making the “sabanas” or sheets of Filet, also the Carne Asada Tampiquena. 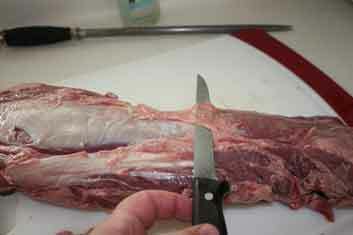 Using this cut will have people always comparing great Mexican beef to yours. A nice center cut clean Tenderloin - Filet Mignon ready for steaking, tying up for an incredible roast or a little of both! 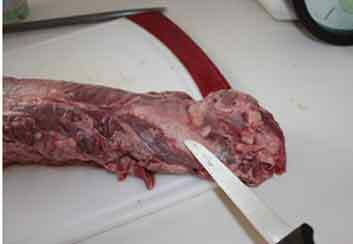 Perfect inch and a quarter thick properly cleaned Filet Mignon / Beef Tenderloin Steaks. 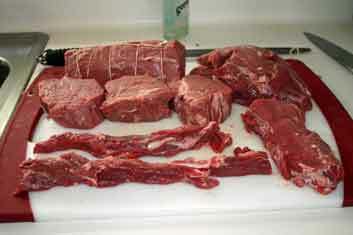 The total nice dinners from this whole beef tenderloin, around 15 to 16 nice dinners. 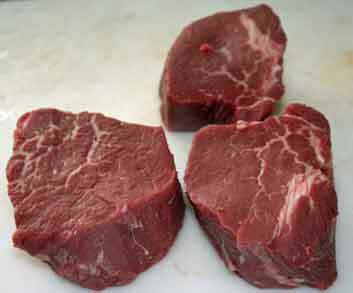 So per portion that is around $4.06 for choice Beef tenderloin - Filet Mignon steak dinners. So nice gourmet dinners, for the price of fast food! 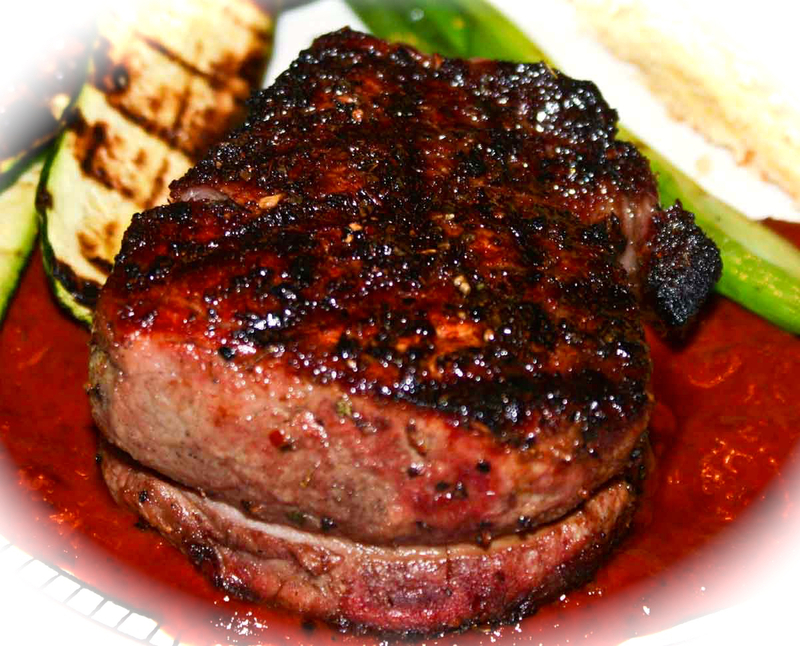 Here are links to great recipes for your whole beef tenderloin!